I’m so excited today to talk about my new obsession-Shibori! Shibori is a Japanese manual resist dyeing technique, which produces patterns on fabric. Google describes shibori as coming “from the verb root shiboru, "to wring, squeeze, press." ... Cloth shaped by these methods is secured in a number of ways, such as binding and knotting.” It’s become very popular in the last few years and is also called indigo dyeing. It’s like tie dyeing but instead of using lots of colors, you just use blue (indigo). I even saw Shibori inspired melamine plates at Target! I’m by no means an expert and am just a beginner so this is my experience trying it out ONCE. But I am now hooked! This kit makes it so so easy to do it for the first time. Once you get comfortable with everything you can use indigo, less chemicals, and do it a bit more authentically I think. But I’m all for an easy kit to do when I can fit in a few hours into my day. You also need rubber bands, clips, wood pieces, popsicle sticks, string, LONG gloves, two buckets, and a nice space outside. There is a GREAT tutorial on Honestly WTF and I used her directions to do it. She has gorgeous photos and also folding instructions. To get started I gathered lot of white fabrics and clothes from around my house. I also ordered some flour sack dish towels towels. Natural fabrics, such as cotton, linen, silk, and hemp dye the best. I used white fabric from my stash that definitely wasn’t all natural and they worked ok too, but you will get brighter color with natural fibers. I did my dyeing over two days, with day one being all of my folding/binding/tieing of fabrics. There are so many methods you can use from just rubber bands (like tie dyeing) or you can use small wood pieces and clips. There is even a method using a PVC pipe which I didn’t try but looks beautiful. An important fold is the accordian fold, where fabric is folded back and forth, back and forth. I used this fold in almost all of my fabrics. You can accordian fold all the fabric, then accordian fold into a triangle (like folding a flag opposite). I don’t think you can do it wrong. I just made up methods as I went along, combining materials that I had available. They all turned out great! The next day I started dyeing. First I filled a bucket with water. The second bucket I made the dye mixture by following the directions in the kit. I then worked with a few pieces of fabric at a time and put them in the water bucket. You squeeze out the water and then get ready to dye! The most important thing in Shibori is not getting oxygen into your dye mixture. You want to stir very slowly and submerge the fabric. Do not go up and down with a lot of bubbles. This was hard for me but it makes a difference! Your fabric will be green while in the dye but when you take it out it will oxidize and turn blue slowly. It’s really COOL! I really dyed a TON of fabrics, I couldn’t stop. In these photos I have the folded fabric on the left with a brief description and what the fabric looks like after on the right. It’s really so much fun to open the fabric up!!!! Since it was my first time doing this I was scared the fabric would all turn blue and I wanted a lot of white in my design so I didn’t leave pieces in the dye for long, maybe a minute? Next time I will definitely leave it in longer since I want more blue in my next batch that I will do with my second kit. And the bigger the piece of fabric, the less the indigo will be able to make its way into the center so it will be very white. My photos were taken before I rinsed the fabric in water and before I washed it. It is much lighter than in the photos. My very favorite piece was from a piece of linen I had in my fabric stash. I just experimented with methods by accordian folding into a triangle, using popsicle sticks in corners, a circle wood piece with clips and a long piece of wood with rubber bands in center. I’m thinking of making it into a pillow I think….. So experiment and have fun! I even dyed some of my dad’s dress shirts. My dad passed away from pancreatic cancer two years ago and I took a lot of his dress shirts for sewing. I had a few white ones and decided they would look amazing with shibori. I haven’t made anything with them yet but since I LOVE upcycling, I’m planning aprons or pillows or maybe a piece of clothing for me. I recently picked (and dried) a ton of lavender so some sachets made from his shirt sleeves would be a great gift to my family. Once you start doing indigo dyeing there will be no white fabrics or clothing left in your house! My favorite clothing that I dyed are these Old Navy flowy white pants I had for awhile but NEVER wore. White pants freak me out since I’m an art teacher. I wore them to a music concert and in Cape May this summer. I LOVE them so much now. 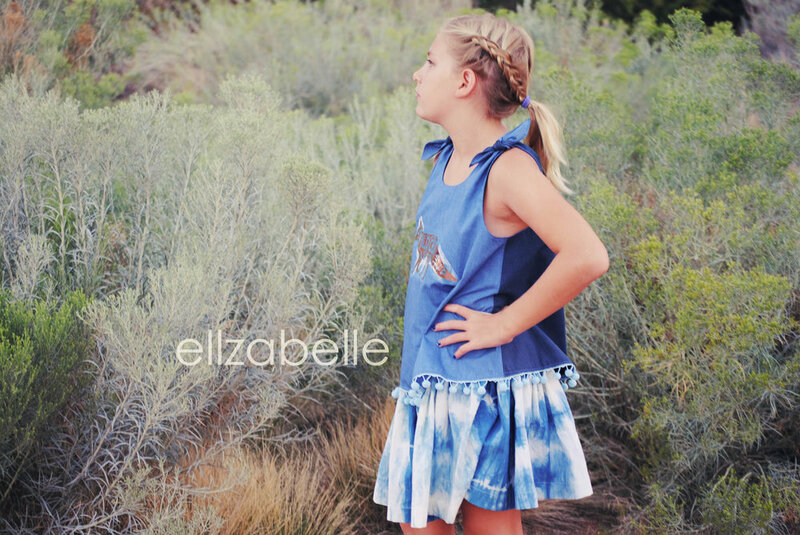 Now that I have a TON of gorgeous shibori fabric I had to make my daughter some dresses. This one is from a pattern no longer available but is a flowy comfy dress that she wore all summer long. The outfit I really had in mind for my 10 year old was Violette Field Threads Berklee. I fell head over heels for the shorts that look like a skirt. I knew my daughter would love the functionality and she does. The knotted top is so simple looking and so sweet. 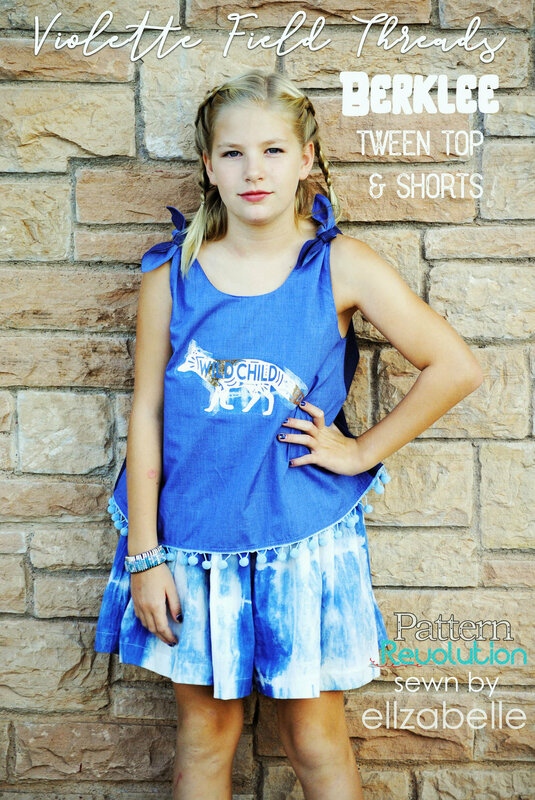 I sewed up a size 12 so I used the Tween pattern (size 10-16). As my only daughter gets older, I really appreciate patterns that go through tweens. I don’t know what kind of fabric the shorts are, it was fabric from my stash. It’s wrinkly and gauzy and light and just perfect for these shorts. They came together very easily. I added a braided tie in the front with scrap pieces. The top is made with blues from my fabric stash and I decided to do two different colors since i didn’t have the right one to match the shibori exactly and I also didn’t have enough for entire top. I knew I wanted to have the ties at the shoulders each have two colors also. I LOVE that the front and back are different shades, just for some interest. I also knew I didn’t want a plain top. So for the front I decided to use my Cricut and put an animal on it for my animal loving daughter. I was so LUCKY to have won a free ticket to the Cricut Make-A-Thon in Salt Lake City in July this summer. I had never used one before and after 2 ½ days of extremely fun crafting I am HOOKED! It was the most fun ever and when I got home a friend had recently been gifted a new Cricut Maker (the new machine) and she gave me her old Explore machine in exchange for art classes for her kids. DEAL! So I’ve been experimenting and just loving being able to use it for my sewing projects (and everything else). So i found this beautiful Wild Child Fox design on svg & me. She has the most incredible svg files for FREE!!!! This design was free too. I used Cricut Foil Iron On in Rose Gold for the design. I was nervous but it went perfectly. I bought the Cricut EasyPress at the conference and it is a dream to use when ironing on the design. Set the temp, time and press. It worked great! Oh and I had to add some pompom trim to the top also. Just HAD to! I’m so in love with the Berklee outfit. I think it is perfect on my girl and so unique, simple and comfy. I knew it would suit the shibori fabric so well!!!! I’m hoping to make myself a dress or skirt or something with some of the indigo fabric. I also have the 2nd dye kit that i’m planning on using in the next two weeks. This time I will make darker fabric and then I can mix the blue fabric with my previous whiter ones. Maybe some clutches too….. 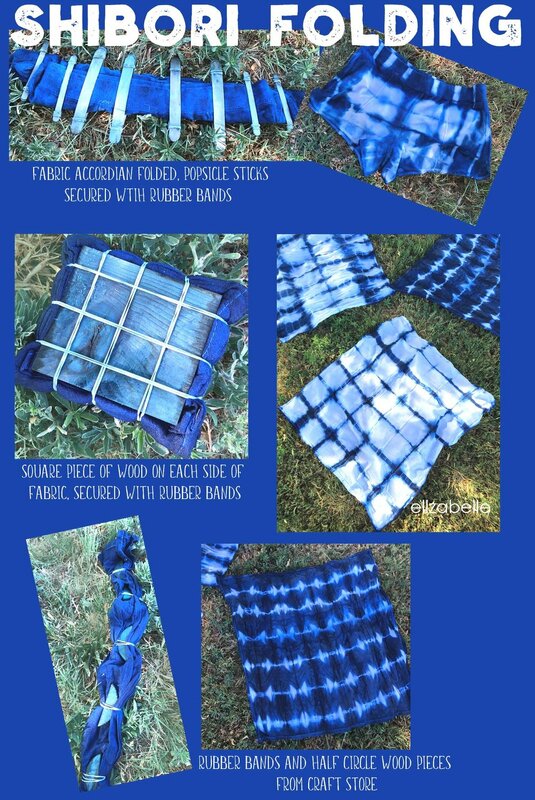 I hope you enjoyed learning a bit about Shibori if it’s new to you. There is so much information on it now so have fun with it. A few things I learned are to not be afraid to leave it in the dye a bit longer to get more dye throughout, depending on the look you want. Also I tried to dye again the next day but had poor success. I also did not have a lid on the bucket all night, just aluminum foil so I think too much oxygen got in. So with this kit I would suggest you dye everything on day one. 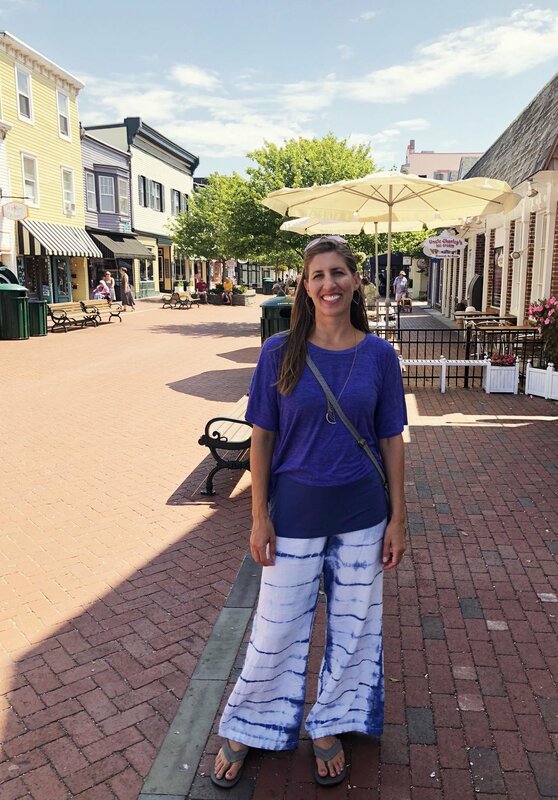 Kari sews for us a fun and light weight summer outfit using the Finley and Daisy patterns from Violette Field Threads. Today Merav sews the Olive dress by Violette Field Threads. This dress has an amazing feature of being reversible, how awesome is that? Today Kari and Kimberlee sew two amazing dresses using the Kennedy pattern from Violette Field Threads. These dresses are full of twirls and fun! Today we are sharing our first Sew Your Suitcase Full feature showcasing Mexico and the Daphne by Made for Mermaids, the Lilly Shorts and Luna Dress by Violette Field Threads and the Elise by Little Lizard King. 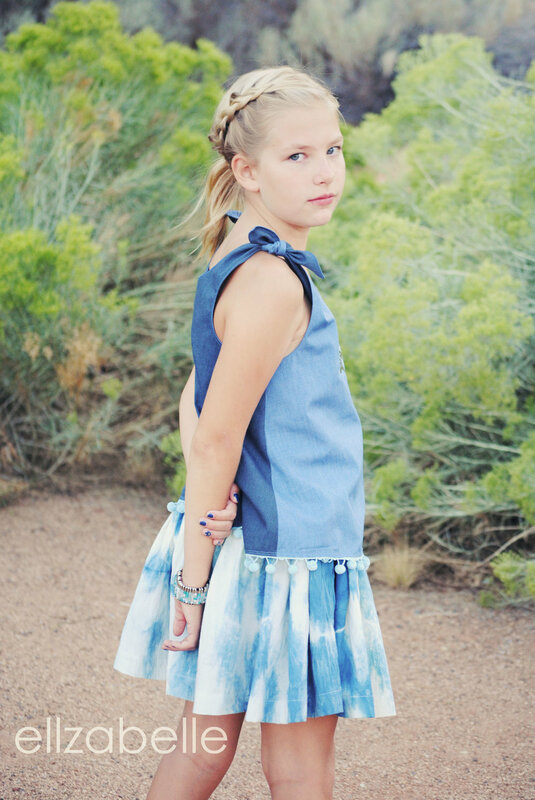 Today we are sharing the Spring Skirt Collection from Violette Field Threads. We're sharing Lacey from Violette Field Threads today and we have a copy to give away! Welcome Nacole and Amanda! Showing off Holiday Designs from Sponsors Violette Field Threads, LilyGiggle and Lily Bird Studio. Crystal shares her tutorial to turn the new Rosamary Pinafore into a dress. Meet Clara, the surprise new release pattern from Violette Field Threads! Learn to make your own Beabag cover with this tutorial using Fur from Shannon Fabrics. Today Kari shares her creations using the new Journey fabric collection by Monaluna. Today Maryanna sews up the Houndstooth Quilt by Modkid. Maryanna used coordinating fabrics to make this an pink ombre look in time for Valentines day. Today Nichole is turning her girls into Winifred and Sarah from Hocus Pocus. Using patterns from Made for Mermaids and Foo Foo Threads, these costume are really spot on. Today we are sharing Sarah's adorable dress made from the newest fabric line from Patty Young and Riley Blake Fabrics: Flit and Bloom.